augustus 2015 | 160 blz. Special Procedures is the collective name given to the different mandates of Independent Experts, Special Rapporteurs and Working Groups in the field of human rights appointed by the UN Human Rights Council. 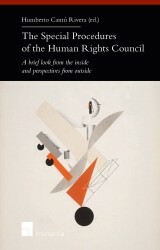 This edited volume seeks to contribute to the dissemination of the work undertaken by different mandate-holders for the protection of human rights.